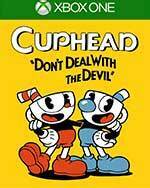 Cuphead and Mugman rolled the dice and lost to the Devil. Now they have to repay their debt by doing his bidding! In two player local co-op mode, play as Cuphead and Mugman together to take down these hooligans! 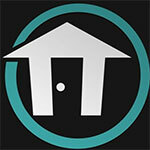 Master multiple weapons and defensive abilities with precision controls against furious adversaries! Pilot Cuphead's blazing fighter plane in fast action shoot 'em up stages! Test your skills against giant, fully animated bosses ready to push your dexterity to the limit! 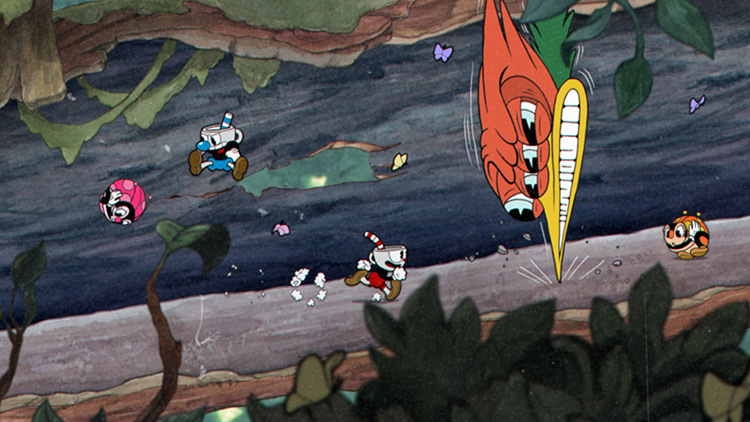 Travel across the world of Cuphead, gaining powers, defeating opponents, and saving the land! If you’re up for a challenge and a feast for the eyes and ears, Cuphead should not be overlooked. At times, Cuphead is an absolute pleasure, but more often than not I was left shouting vile things in anger at the screen, and I'm quite a patient person. If you’re the type of person who derives joy from angrily banging your head into a boss over and over until you can perfectly defeat it in the most glorious 90 seconds you will ever experience, then Cuphead is the total package. The tight gameplay, accompanied by an incredibly well-realized aesthetic, makes for a truly unforgettable gameplay experience. Cuphead’s deal with the devil eventually leads to hell, and so perhaps it’s fitting the conclusion should be so torturous. Though, honestly, even the residual headache has been soothed by the sweet, sweet salve of victory. When I think of my time with Cuphead, instead of frustration I’ll remember the dozens of tiny breakthroughs, when the impossible became possible, and a game that built an identity around difficulty helped me to feel, however briefly, undefeatable. Cuphead is a joyful flashback to a bygone era, both in terms of animation and in terms of crushing video game difficulty. It's easy to get lost in this gorgeous cartoon world and get overtaken by the sheer beauty and whimsy of the game's characters. Cuphead is a great purchase for those unafraid of challenge, and its low price point is simply icing on the cake. Cuphead is a rare case where the long development cycle didn’t ruin the final product. This game matches its incredible look with stellar game play. In the sea of games releasing this year Cuphead stands tall as one of the best. There is little reason to skip this gem, it even comes with an outstanding value price and plenty of replay. Don’t sleep on Cuphead. Now if you’ll excuse me I need to listen to the soundtrack one more time. Cuphead impressed me in every facet, from its beautiful art style to its challenging gameplay. Studio MDHR clearly put a ton of love and time into every little detail in this game, and the entire package pays off that effort in a fantastic and challenging experience. Cuphead is an indie darling that pulls you in with its cartoony graphics and keeps you there with its engaging gameplay, a blast from multiple pasts that’s worth the trip to yesteryear. Yes, Cuphead was worth the wait. Too often, I find myself thinking "Thank God I never have to do that again" after wrapping up a difficult game - but with Cuphead, I'm mighty excited to further my eight-to-nine-hour Regular run by trouncing those bosses in an Expert encore. If you're partial to a tough-but-fair challenge, and you have even the slightest appreciation for the rich history of animated cartoons, you'll be overjoyed by the wonderfully artistic adventure that is Cuphead. Maybe you'll even get a blistered thumb or two to remember it by. Although I speak very highly of Cuphead, I do think the game can be a little too unforgiving in enemy attack patterns and their ability to hit from offscreen without much warning. Regardless, the game’s tight controls, fun boss fights, and pleasing aesthetic make it a must have. Aesthetics aside, there really aren't any games like Cuphead being made anymore. This kind of running and shooting platforming action game has nigh vanished from the gaming landscape. The closest modern example that casual observers may be aware of is maybe Metal Slug or the Mega Man games, because nobody has seen Contra since 2007. Cuphead is wonderful. It has occasional sticking points – the final run of boss battles can, for example, be a little rough around the edges, especially as they abandon the otherwise scintillating rhythm and pattern design that holds the rest of the game up so impeccably. But any complaints we could leverage at Cuphead are markedly small, especially when weighted against what it has been able to achieve. It’s challenging, beautiful and unique. While at first a bit jarring, after a short adjustment period we found that the way these two disparate core elements - the gameplay and the aesthetics - blend together is near magic. But be warned, the game is hard, but at least it features two difficulty levels per stage: Simple and Normal. Simple does just what the name implies and removes elements of the boss battles, be that the last enemy stage, fewer attack patterns, or slower level scrolling. Normal, however, is the way the game is meant to be played, and if you want to give the Devil his due you will have to clear all his debtors and collect their souls. It’s nearly flawless. I could ramble on and on about Cuphead, using animation jargon, but instead, just go play it. While it is difficult to recommend this to players who may not possess the skill level required, Cuphead is stunning, unique and incredibly delightful. It’s a challenge, but one players will keep striving to conquer. No matter how many times cups are broken, players will feel drawn to return. 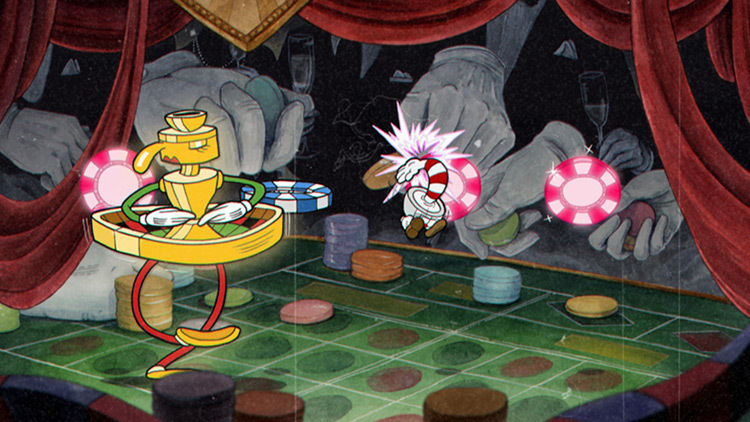 So for those seeking an enchanting challenge, roll the dice on Cuphead. It’s hard, but not impossible. 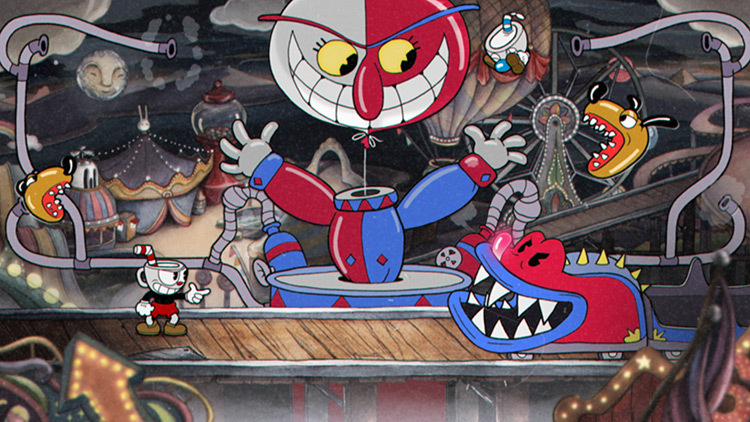 If you’re used to modern gaming, this is going to take you to absolute breaking point and might even push you away, but if you grew up on the more arcade-centric 8 and 16-bit games of the past, and love the challenges those games served up, then Cuphead is absolutely for you. 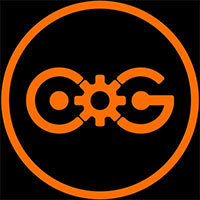 Art and design combine, but with the sole purpose of crushing you -- what’s not to love? Una pequeña joya desde su perfecto control hasta sus fabulosos visuales, habrá quien llegue a criticar a Cuphead por su elevada dificultad desde el inicio, aunque es verdad que esto mismo es lo único que el juego le pide a quien vaya a jugarlo. Es como la saga Souls en ese aspecto. Cuphead no es para todo el mundo, a pesar del enorme gancho que su aspecto visual supone. Es un título con mecánicas de la vieja escuela, dificultad que reta pero que recompensa. Cada momento junto a Cuphead ha sido emocionante e intenso. Me hizo mejorar como jugador, al menos un poco, con su esquema que recompensa el esfuerzo de manera tan funcional y directa. Vencer a cada jefe, sobre todo a los muy desafiantes, fue un ejercicio de frustración que se convirtió en obsesión, después en contemplación de mis fallas y, al final, en una necesidad de perfeccionar mi habilidad. Lo que en inicio parecía fanservice para la vista y dificultad caprichosa, se consagró en un juego pulido, muy divertido, desafiante e ingenioso, pero sobre todo memorable. Un clásico moderno. Cuphead está cargado de una atmósfera impresionante, pero la dificultad recae de verdad (más allá de las mecánicas de juego) en los jefes, que suelen añadir elementos aleatorios que simplemente nunca podrás leer, así como el timing que deberás medir con base en tus errores. Esa es, en nuestra opinión, lo que realmente torna difícil a Cuphead. Cuphead es un juego que no solo tiene un apartado audiovisual con una personalidad desbordante y un atractivo único, sino que también es un título con una jugabilidad prácticamente impecable y con unos desafiantes jefes finales de primer nivel que nos deparan algunas de las batallas más intensas, locas y divertidas que hemos jugado en los últimos años. Ha tardado en llegarnos, pero la espera ha merecido la pena, tanto que estamos ante uno de los mejores lanzamientos para PC y Xbox One de este 2017, lo que no es decir poco precisamente. No os lo perdáis. Was für ein Flashback: Als Liebhaber alter Cartoons ist Cuphead für mich ein Spiel gewordener Kindheitstraum. Ich bin zwar eher Fan von Warners Looney Tunes mit ihrem flapsigen Humor, aber auch der exzentrische frühe Animationsstil von Disney und Fleischer (Popeye, Betty Boop) üben nach wie vor eine große Faszination auf mich aus. Et le scénario aurait mérité d'être plus développé, notamment à travers des scènes cinématiques, car le moteur graphique façon dessin animé se prête particulièrement bien à l'exercice. Bref, le jeu manque un poil d'ambition en matière de narration, mais le tour de force artistique est tel qu'on ne peut vraiment pas lui en vouloir. On se contentera d'espérer qu'un Cuphead 2 plus long et plus scénarisé soit rapidement mis en chantier ! Tout comme les cartoons dont il s'inspire, Cuphead cache de la fourberie et de la méchanceté sous ses magnifiques pages de celluloïd animées. Le délice audiovisuel de tous les instants se change parfois en véritable calvaire pour des raisons de lisibilité entachée, de patterns qui ne s'imbriquent pas toujours bien ou de frames de répit parfois trop chiches pour le commun des mortels. Les parties en coopération n'arrangent pas forcément les choses malgré certains avantages et le fait de ne pas pouvoir accéder à la fin du jeu dans la difficulté la plus basse avant de se frotter au challenge normal pourra rebuter les débutant-e-s.
Cuphead ne se contente pas de rendre hommage aux cartoons des années 30 et au run and gun porté disparu, il prend le meilleur des deux mondes pour proposer une expérience délicieusement rétro dans tous les sens du terme. Monstrueusement exigeant, le jeu choisi volontairement de ne se dévoiler qu'à force de courage et d'abnégation. Oui, Cuphead est segmentant, mais les joueurs à la recherche d'un challenge corsé où la victoire est une délivrance qui se mérite prendront sans l'ombre d'un doute un pied monumental. 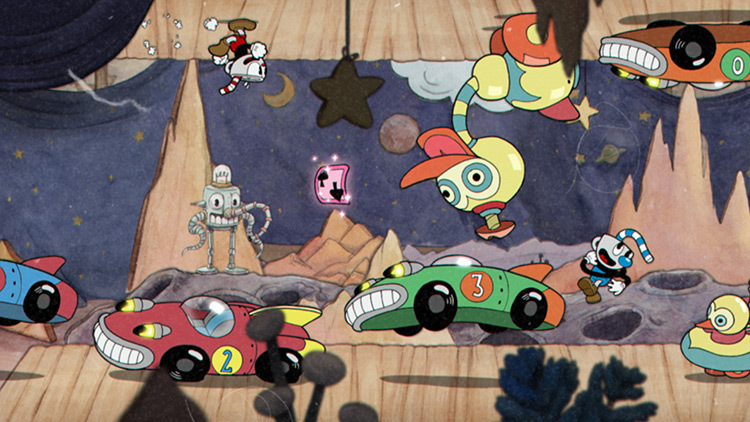 On a du bol, Cuphead est surement le plus beau shoot arcade 2D disponible à l’heure actuelle. Si le plat concocté par Studio MDHR est appétissant à l’oeil, ses ingrédients lui assurent également variété et saveur. Malgré ses inspirations bien visibles, Cuphead ne donne pas l’impression de verser la même soupe dans un vieux mug et réserve des combats de boss qui resteront dans les mémoires. Evidemment, si le genre n’est pas votre tasse de thé et que vous n’appréciez pas la difficulté pimentée, la dégustation jaugée à une huitaine d’heures (game over inclus) risque de vous brûler les papilles. Nous, on va au rabe ! Cuphead é como comida caseira em casa da avó depois de uma semana numa metrópole inundada de cadeias de fast-food. 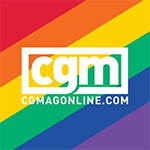 É uma das melhores propostas do ano, que merece ser celebrada, apoiada, e principalmente jogada por todos. 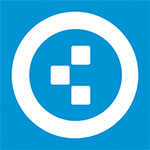 Não é de estranhar que a equipa do StudioMDHR já tenha confirmado um novo projeto, reiterando a intenção de manter o modus operandi, desenhando tudo à mão e esperamos nós, com o mesmo cuidado. Até lá, está confirmado mais conteúdo para Cuphead e quem sabe, o tal cooperativo online. Dopo anni di rinvii e una lunga attesa, Cuphead non ha deluso le aspettative e si Ă¨ rivelato essere un titolo curatissimo sotto il profilo artistico e ostico da portare a termine. Studio MDHR firma un'ottima esclusiva per Microsoft, in grado di elevarsi a indie di alta qualitĂ e a titolo che metterĂ a dura prova i giocatori. Cuphead è un gioco d’azzardo e in effetti non poteva essere altrimenti vista la vicenda narrata inizialmente. Come Cuphead e Mugman soccombono al vizio del gioco e finiscono per stringere un tremendo patto col diavolo, così anche chiunque voglia avvicinarsi all’acquisto deve sapere che i rischi in agguato sono molteplici. Игра — как и история разработки Cuphead — заканчивается хэппи-эндом: братья побеждают. После стольких лет проб и ошибок, результат превзошёл даже самые смелые ожидания. Уже за первые пару недель игру купили более миллиона человек. Вложив в дело всю свою страсть и фанатизм, MDHR удалось создать целостное и одновременно разнообразное, по-детски искреннее и одновременно не по-детски хардкорное произведение. Laat je niet misleiden door de graphics, want Cuphead laat je het merendeel van de tijd met zwetende handen zitten en wist mij meerdere keren mijn controller naast mij neer te laten gooien…om deze vervolgens direct op te pakken en het opnieuw te proberen. Hoe moeilijk de levels ook zijn, de game daagt je uit om het keer op keer opnieuw te proberen met de kennis die je de vorige ronde hebt opgedaan. De controls werken jammer genoeg niet altijd even goed mee, maar wanneer je een level hebt gehaald, is het euforische gevoel priceless. Cuphead is een unieke game ondanks een simpel concept. 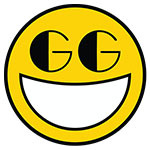 Het is de aankleding van het verhaal en toffe uitwerking van de gevechten wat deze game zo goed maakt. De keuze om het op cartoonklassiekers te baseren maakt Cuphead zelf al een klassieker. Vergis je niet, want de game is ontzettend lastig. De eindbazen zul je meerdere keren opnieuw moeten bevechten voor je ze verslaat. Door via co-op wat hulp in te schakelen, maak je het jezelf leuker en iets makkelijker, maar zelfs dan zijn het Dark Souls praktijken. 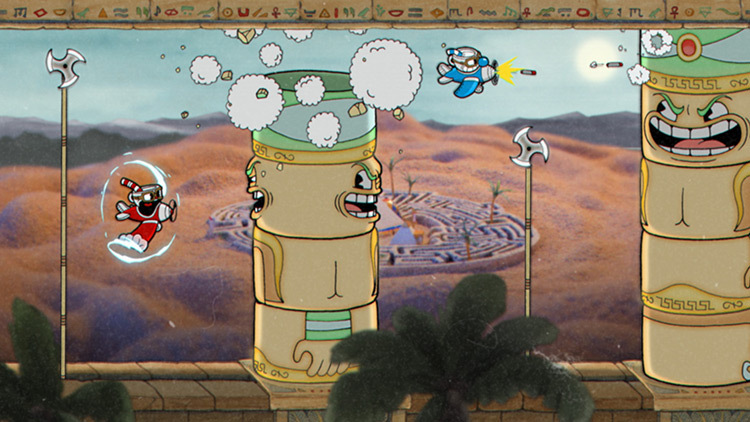 Om de Cuphead review af te sluiten: heb je een beetje geduld en houd je van uitdaging, dan mag deze game absoluut niet ontbreken in je lijst! Swoim debiutanckim projektem ekipa StudioMDHR udowadnia, że w świecie gier nadal istnieją niezbadane i pominięte tematy, które są w stanie podbić serca graczy. Cuphead to tytuł idealny dla fanów gier indie i platformówek.